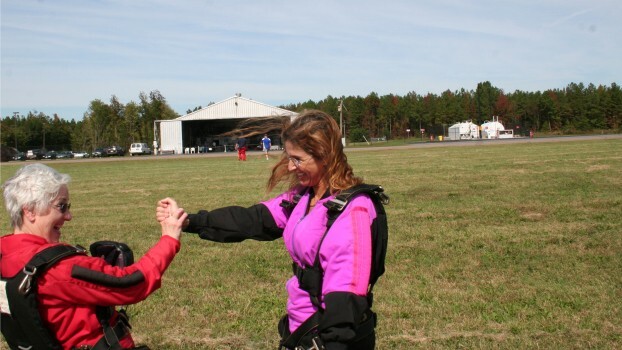 How Much Does it Cost To Go Tandem Skydiving in Virginia? Though the average cost of a tandem skydive in this area is $250, No Limits Skydiving provides tandem jumps starting at $220. From the gear, to the plane, to the cost of qualified instructors, a tandem skydive can be costly. With safety being the main priority, there is no cutting corners in this business. We take all tandem skydiving safety precautions very seriously. We have done a few things to be able to offer tandem skydives at a lower price than our competitors, including staying open 7 days a week. Call for pricing. Bring your friends and save some cash. Call for pricing. Looking for the perfect activity for you and your friends? Whether part of a bachelor or bridesmaid group, or a team-building event for your employees, parties of 9 or more qualifies for one FREE tandem. Save $10 on a skydive and get $5 off a purchase of a video, picture or combination of the two. Make a skydive within 7 days of your birthday. Save $10 on a skydive and get $5 off a purchase of a video, picture or combination of the two. The owner of No Limits Skydiving™ is ex-military and would like to thank other service members for their service by giving them a discount. *Save an additional $5 when purchasing a video or pictures of your jump. Additional discount applies for anyone who qualifies for Birthday or Military discounts only. We are open 7 days a week. Most skydiving schools are only open on weekends, or a few days a week, but we are taking people on tandem skydives every day. Since we are open more often, we are able to take more customers for a jump. This enables us to spread the overhead cost between more people, giving you a lower cost for your skydive. 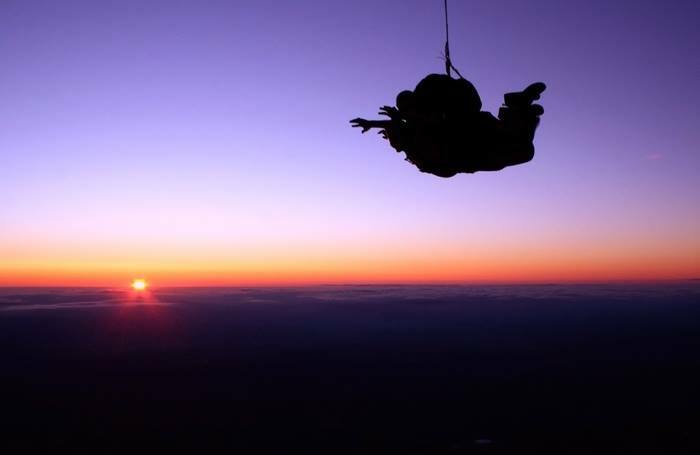 We only offer tandem skydives and only serve people who are making their first skydive. The skydiving schools that allow licensed jumpers to skydive at their location usually spend more money to keep the experienced skydivers happy. They have to provide them with a seat on the plane, a place to relax after their jump, and pay for equipment for them to use. This all costs them money and makes your tandem skydive more costly. 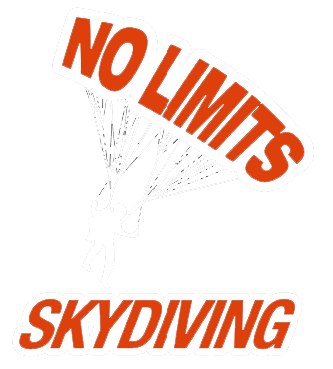 No Limits Skydiving™ is 100% for you, your family and your friends. Our entire place is dedicated to make sure you have a great time. We have large flat screen TVs to watch the video of your skydive after you land. By concentrating on tandem skydives, we are able to spend our money on you, rather than licensed skydivers. This keeps overhead costs lower so the skydiving cost of your tandem skydive is lower. We offer discounts for military, groups of 4 or more, and those celebrating a birthday week. There are some random costs associated with Tandem Skydiving. All skydiving schools are regulated by the Federal Aviation Administration, who sets rules on aircraft safety and inspections that every company must follow. All of our planes go through a complete inspection every 100 hours. There is no set cost with inspections, but the usual fee for inspectors is $75 an hour. Our tandem parachute rigs are bought from a company called Strong Enterprises. The cost of one Tandem Rig Parachute System is $12,000. Every Tandem Rig must be inspected every 6 months, which usually costs around $100 for a Master Rigger to do a complete inspection. Fuel prices are another big overhead cost for drop zone owners, with an increase in the cost of fuel over the last few years. A gallon of AV Gas for aircraft is currently around $5.25.